​Consider yourself the next Kojima? Ready to become the next Rocksteady? Maybe you’ve got the skills to become a future Meier? UK games developers could be in with a chance of securing up to £25,000 of government funding, as the hunt begins to find the UK’s next big video game. The UK Games Fund is inviting developers to apply for the grants in a bid to support video games projects and help develop new talent. The fund, which in now its third round, has so far helped 50 developers from across the nation see their gaming dreams transformed into reality thanks to more than £1.3m in government grants. “The UK is a world leader when it comes to making video games, and we’re determined to make sure this continues long into the future. The UK’s video games sector plays a vital role in the country’s thriving creative industries, which contributes £84 billion to the economy. Video games developer Sensible Object, who successfully applied for funding from the first round of the UK Games Fund, have brought their game “Beasts of Balance” to life thanks to the government grant. About to be launched in retailers including John Lewis, “Beasts of Balance” is an ambitious mixture of a physical tabletop and digital game in which players stack beast-shaped pieces into a balancing tower that’s scanned by a connected smartphone or tablet. On a visit to the Sensible Object studios in Somerset House, the Minister was shown how the developers have developed their designs and are now bringing them to market. “Launching any venture is fraught with risks, but creative businesses like game companies come with even more challenges and the UK Games Fund is a very timely form of support for those that hope to grow and succeed in that area. The Government’s UK Games Fund is aimed at supporting new video games businesses, encouraging talent, accelerating growth in regional games clusters and complements UK’s video games tax relief. Many small businesses lack the capital to help develop their ideas and attract private investment. The Fund has been created to help bridge that gap and help developers take their ideas from the drawing board and into production. Would you kindly read this review I was asked to do for the BioShock Collection? The BioShock Collection is the remastered collection of BioShock 1, 2 and Infinite with all the DLC by 2K Games and Take Two Interactive. The games are stunning visual pieces of art and story telling. Seeing these remastered on Xbox One is an absolute delight and a pleasure for the eyes. If you have played the games before everything is still there with the addition of a commentary from Ken Levine to find through the first game to discover more about the process of how the game was created. If you have played the games before then this is more for the die hard fans as there is not much new for you to discover. However if you have never had the pleasure of the cities of Rapture and Columbia then this is definitely for you as every gamer needs to play the BioShock games. They have entertaining game play with a mixture of gun play and the plasmids, beautiful locations, enticing stories and complex characters. In conclusion if you have never played the games this is most definitely a game that needs to be picked up. If you have played them before you won’t find much new but if you just want to go down to Rapture or up to Columbia this is the way to do it. 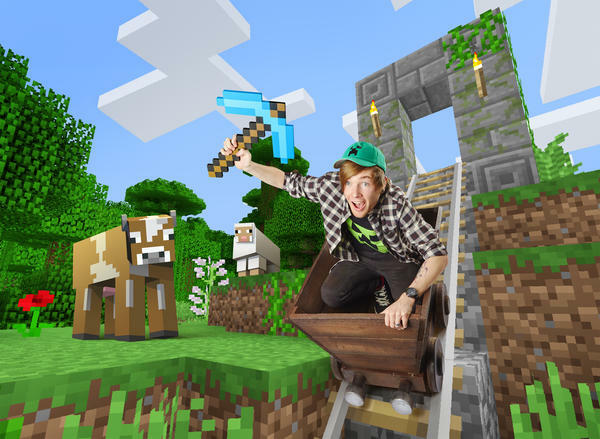 ​Youtube gamer Dan TDM (Daniel Middleton) features in the new Guinness World Records Gamer’s Edition having the title for Most views for a dedicated Minecraft video channel with an incredible 7,943,141,552 views as of August 2016. In an exclusive video Dan TDM discusses his record breaking achievement as part of Guinness World Records ‘Meet the Record Breakers’ series on youtube. The young YouTuber’s popularity has rocketed in just a few years among young gamers with his gentle, funny and personal videos – that have made not only him a star but his two pugs too! He recently sold out a 17 date nationwide ‘Dan TDM Tour’ of UK theatres, ending in December at the Hammersmith Apollo. 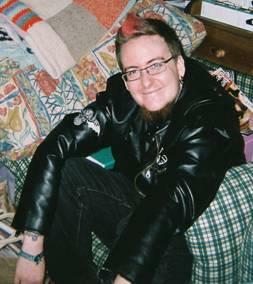 He also has an popular clothing line, gifts and has released an graphic novel in time for Christmas. Since Dan TDM’s channel launch in July 2012, he has captured the attention of the UGC-gaming community with his fun and engaging videos while playing and commentating on his Minecraft world. With over 2,082 videos uploaded, Dan’s viewership has the highest number of views for any dedicated Minecraft video channel. Dan credits his brother to introducing him to Minecraft five years ago, which he’s played on every day since. While working at a supermarket part time and studying for a degree at university, he created his earliest Minecraft videos. Once he was able to monetize his channel, he then moved to making them full time. His current channel was not his first. In fact, he initially had a dedicated Pokémon channel. “In Minecraft, it’s fun to play and people make content for it so you can enjoy their content. And you can make your own, so the creativity is endless,” added Dan. The ‘Meet the Record Breakers’ series reveals exclusive video interviews of Guinness World Records amazing record holders. Insomnia 59 is coming to Manchester this holiday season. ​Insomnia59 (i59) is set to be the biggest festive celebration of all things gaming related this Christmas. Taking place at Birmingham’s NEC Arena, the festival will feature esports tournaments, special guests, live music, cosplay and a brand new education zone, making it the ultimate family outing this festive season. Offering a broad range of entertainment to match any festival in the UK, i59 will be the first Insomnia event to include an appearance from a top music artist that will be announced in the coming weeks. Insomnia59 will be the perfect opportunity for gaming enthusiasts to sample some of the best games and technology of 2016 in order to fill up their wish lists this Christmas. With a dedicated VR and Tech area, gamers will be given hands-on access to Microsoft Hololens, Playstation VR, Oculus Rift, and HTC Vive. The event will also play host to a full range of the season’s hottest titles, from Call of Duty to FIFA 17, Gears of War 4 and Battlefield 1, making it an event not to be missed. As regular attendees have come to expect, i59 will give gaming fans the chance to see their favourite YouTubers, including @real8bitgaming, @marzbargaming, @Razzbowski and @ThePrenti, @yammy_xox, @gizzy14gazza, @samgladiator, @GameboyLuke, @OMGitsfirefoxx and @LDShadowLady. Insomnia59 will also see the return of the highly popular Drone Racing iSeries which debuted at i58 and will take place at The NEC, Birmingham, 9-11 December, 2016 and are available online from £20, with BYOC tickets costing £99. Tickets are available at: https://insomniagamingfestival.com/tickets/. Halloween, players of the popular Pokémon GO mobile game will experience exciting treats from Niantic Labs, Inc. and The Pokémon Company International. Beginning Wednesday, October 26, through Tuesday, November 1, Pokémon GO Trainers will have the chance to catch some of the spookiest Pokémon available in the game with increased global encounters of Drowzee, Gastly, Gengar, Golbat, Haunter, Hypno, and, yes, Zubat. And, since it wouldn’t be Halloween without candy, Trainers will have the opportunity to earn more Pokémon Candy during this event as they explore the world around them in search of Pokémon. During this period, every Pokémon caught will earn Trainers six Candies—twice the normal amount. The professor will also give Trainers two Candies instead of one for every Pokémon transferred to him. In addition, Buddy Pokémon will award four candies instead of the usual one. Pokémon Candies enable Trainers to evolve or strengthen their Pokémon, so players will want to walk and catch all the Pokémon they can to get their fill of Candy during this special event. To learn even more details about the Pokémon GO in-game Halloween event, visit the official Niantic blog at PokemonGOlive.com. 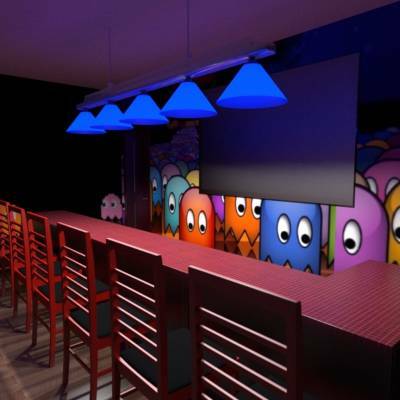 A new Arcade+Bar franchise needing help in the UK. ‘Ever since the Pier’s arcade burnt down in 2014, Eastbourne has been missing it’s fun side.’ This is how the KickStarter campaign for a new arcade in Eastbourne, a South East seaside town, named ‘Health Bar’ opens up, and it is so true! The Pier may now have scattered arcade machines around it but it still doesn’t feel like an arcade, and still doesn’t fill that gap that the Pier’s original arcade filled in. ‘Health Bar’ wants to help Eastbourne out, with it’s original pitch and interesting ideas. The idea is for this to be a split day arcade. In the day time it is to be an amusement cafe open to all, filled with 30+ machines, soft drinks, Nachos and, an Eastbourne exclusive, Crisp Sandwiches. In the evening the younger crowd are moved on, the adult drinks unveiled, and becomes a true “Barcade”. · Thursday is Competition Night – We choose a game every week that you can compete against each other on, winners win alcohol! In the campaign ‘Health Bar’ go on to express the interest in reviving the arcade feel into Eastbourne, giving families, children and adults, a place to relax and hang out. If you feel this would be an asset to Eastbourne you can help ‘Health Bar’ become a reality on there Kickstarter page..
​In an introductory video released yesterday (http://www.nintendo.com/switch), Nintendo provided the first glimpse of its new home gaming system and revealed that it is called Nintendo Switch. In addition to providing single and multiplayer thrills at home, the Nintendo Switch system also enables gamers to play the same title wherever, whenever and with whomever they choose. The mobility of a handheld is now added to the power of a home gaming system to enable unprecedented new video game play styles. At home, Nintendo Switch rests in the Nintendo Switch Dock that connects the system to the TV and lets you play with family and friends in the comfort of your living room. 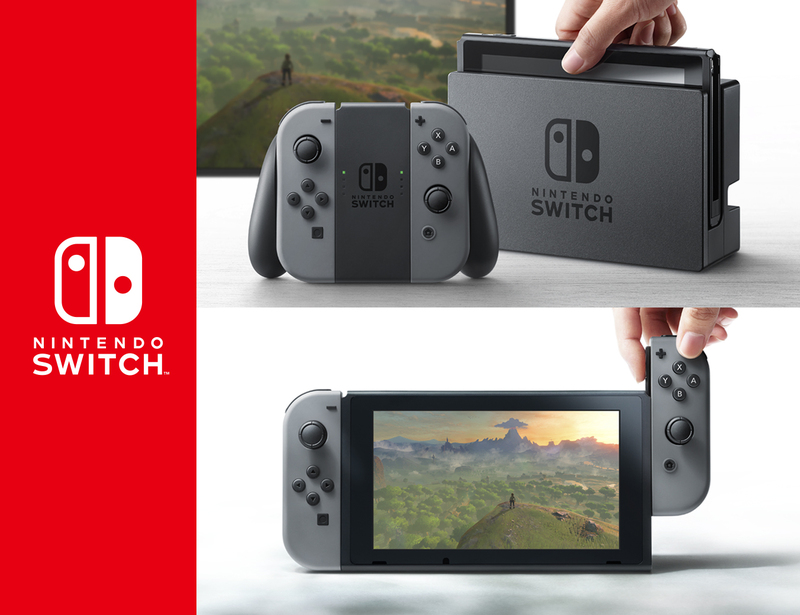 By simply lifting Nintendo Switch from the dock, the system will instantly transition to portable mode, and the same great gaming experience that was being enjoyed at home now travels with you. The portability of Nintendo Switch is enhanced by its bright high-definition display. It brings the full home gaming system experience with you to the park, on an airplane, in a car, or to a friend’s apartment. Gaming springs into action by removing detachable Joy-Con controllers from either side of Nintendo Switch. One player can use a Joy-Con controller in each hand; two players can each take one; or multiple Joy-Con can be employed by numerous people for a variety of gameplay options. They can easily click back into place or be slipped into a Joy-Con Grip accessory, mirroring a more traditional controller. Or, if preferred, the gamer can select an optional Nintendo Switch Pro Controller to use instead of the Joy-Con controllers. Furthermore, it is possible for numerous people to bring their Nintendo Switch systems together to enjoy local multiplayer face-to-face competition. The video incorporated short glimpses of representative gameplay to demonstrate the liberating nature of the Nintendo Switch home gaming system. Full game demonstrations, the list of launch window titles, as well as launch date, price, product configuration and related specifics, will be shown and announced prior to the March launch. 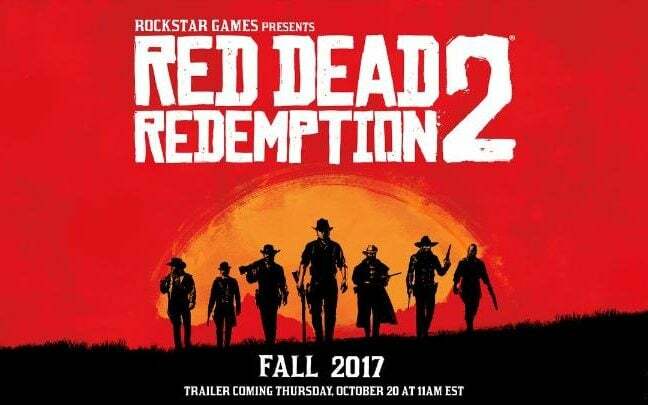 ​Rockstar Games®, a publishing label of Take-Two Interactive Software, Inc. (NASDAQ: TTWO), is proud to announce that the highly anticipated Red Dead Redemption 2® will release worldwide in Fall 2017 for PlayStation®4 computer entertainment systems and for the Xbox One games and entertainment system. Watch the Red Dead Redemption 2 trailer at 16.00, Thursday October 20th at www.rockstargames.com . 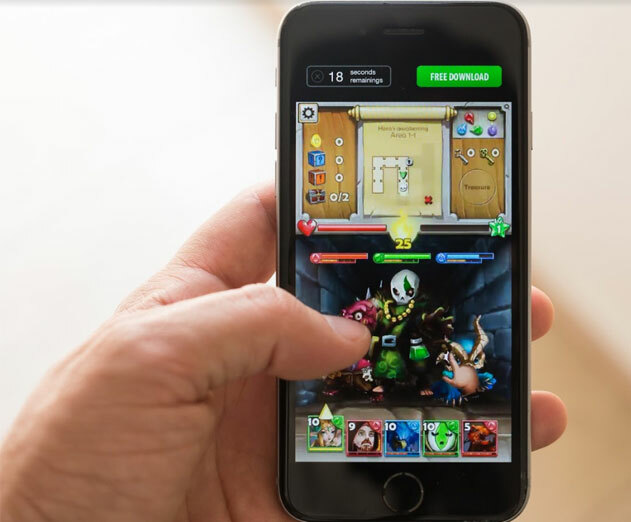 Playdigious, a leading mobile games publisher, today announced “AdTrial,” a new mobile ad platform that allows gamers to play short game demos, directly in mobile advertisements, without the need to download a game. The content delivered via AdTrial provides a seamless, true gaming experience that allows gamers to have a new level of “pre-download” interaction never experienced before at this scale. Equally, Playdigious is launching a limited “early adopter” program to allow qualified developers and publishers to be the first to experiment the playable format. More information can be found at http://adtrial.com. Rather than just watching a short video or seeing still images from a game, AdTrial provides real game play, which is a stronger and more compelling tool for educating the public about the game, therefore leading to higher downloads. Early tests of the platform have shown a much higher click and install rate (200%/400%) and a retention rate that increases by over 20%. With consumers having so many game options on their mobile devices, it is often challenging for developers to break through the clutter and have their titles downloaded and played. To provide a new format to allow developers and mobile game publishers to reach a wider audience, AdTrial works to offer an SDK-free technology that allows for these “playable ads” to be experienced on all devices and within all apps. The first game to be featured using AdTrial technology is “Pirate Power” from Godzi Lab, based in Palos Verdes Estates, California. More games using AdTrial will be announced in the coming weeks. ​3lb Games has created a movement script for the Oculus Touch and the HTC Vive to help abate the motion sickness endemic to virtual reality (VR). 3lb Games built a suite of tools to aid developers in choosing the most appropriate movement system for their game or application. The system allows users to better signal their intent to move. It improves the connection between their intention and their perception. By eliminating sensory conflict, you can significantly reduce one of the biggest contributors to motion sickness. When intent is aligned with action, the process of VR movement feels both intuitive and natural. Unlike other movement systems, this package contains a number of different movements for a broad range of games. You can even mix and match some of them to create a unique locomotion system. This is the first asset ever approved for the Oculus Touch in the Unity Asset Store. The goal in creating this system and making it available to other developers is to create a common language and experience base for VR development. The studio intend to build a natural, immersive VR experience that will eliminate motion sickness in this exciting new medium. You can find the Oculus Unity Asset Store link here. You can find the HTC Vive Unity Asset Store link here.